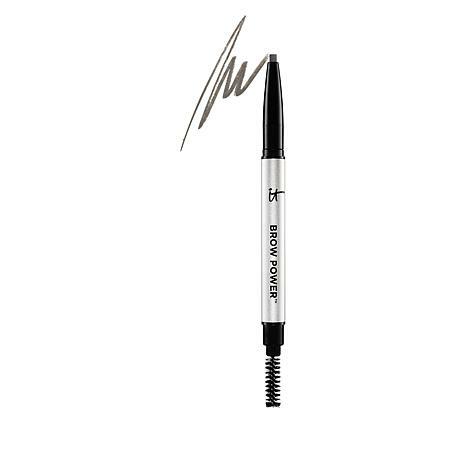 Developed with leading plastic surgeons, this universal, transforming long-wear eyebrow pencil is infused with cutting-edge brow enhancing ingredients and technology. IT Cosmetics has partnered with the American Cancer Society’s Look Good, Feel Better program and for every Brow Power™ pencil sold, one is donated to go to help women face the effects of Cancer with Confidence! Apply lighter, softer strokes to match lighter color hair including blonde and silver. Press harder for darker hair including medium brown to black. 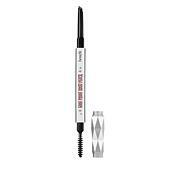 As a finishing touch, lightly brush through brows with the spooley brush for a natural, polished look. 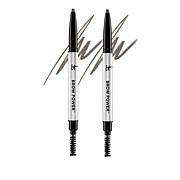 Full brow lift instruction diagram included with each pencil. The brown-gray piece that you twist out of the pencil slipped out twice! First time, I was able to locate it inside the cap! Second time it just fell off! They need to fix that abs make it tighter!HSN Customer Service is going to send me another one...so disappointed!